Stefanie Bürkle is an artist and has been Professor of Fine Art at the TU Berlin since 2009. Her artistic practice ranges from painting and photography to video and spatial installations. Art and research projects initiated by her explored topics such as The City as Stage / Architecture as Scenography, Artificial Worlds, Facade-Space-Architecture and Migration and Space; some of these projects were Beirut-Berlin (a comparison of two post-scission cities, 1995-1996), Berlin Wallpaper (or The Palace of the Republic for your living room, 2003-2005), Loi chao tu Hanoi (2007-2008), and the interdisciplinary project Placemaking – Migration and the Fall of the Wall, which was exhibited in 2009 in the Haus der Kulturen der Welt, the Schering Stiftung’s exhibition space and in the Berlinische Galerie. 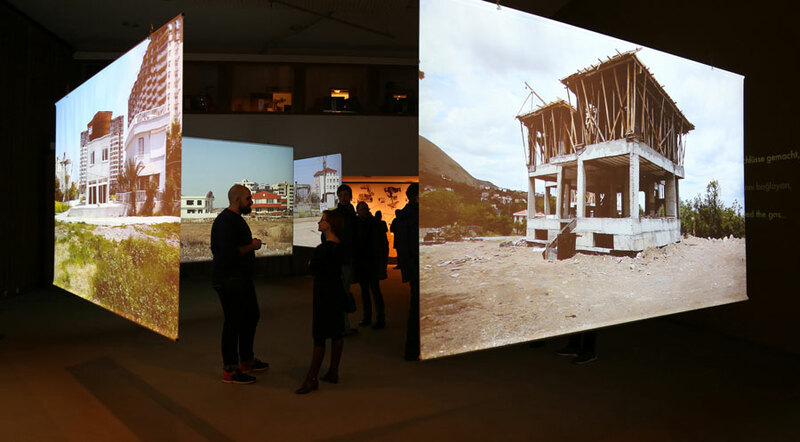 In the framework of e.city – Berlin Stefanie Bürkle will show her latest large-scale project Migrating Spaces – Identity through Architecture in the Context of Turkish Remigration.